I recently came back from Southern Oregon—more exciting news about that next month—and had the pleasure of spending an afternoon at one of the most beautiful Oregon wineries in Rogue Valley. As you know, I’ve lived in Tuscany for about three years and since spending five months in Jackson Hole, Wyoming I have definitely missed the wine culture. 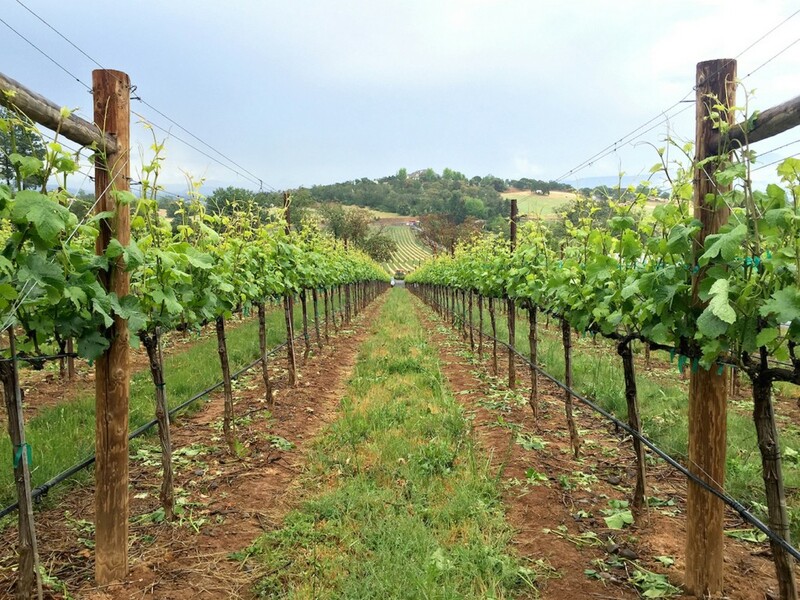 Don’t get me wrong, Jackson has great wine and even an award wining local winery, but rolling hills with meticulously cared for vines are what I’ve been missing. 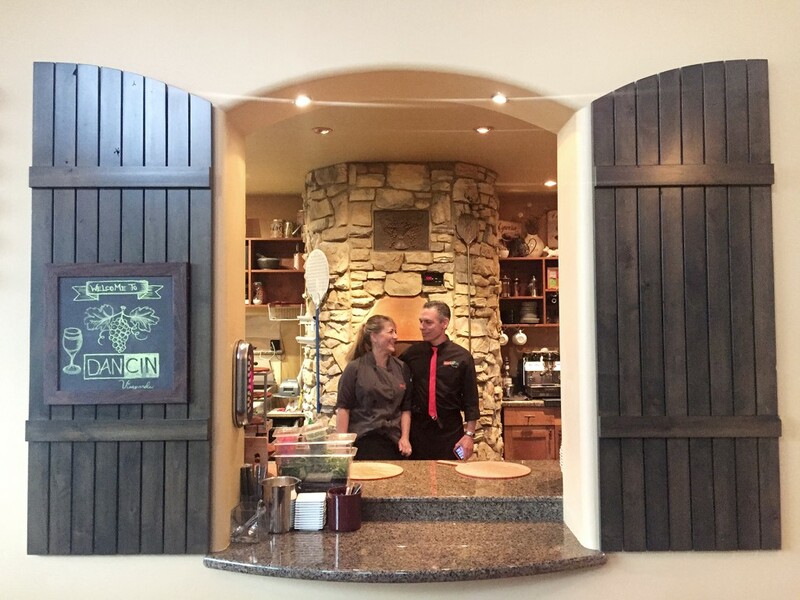 As I walked into Dancin Vineyards in Jacksonville (8 miles from Medford airport) I was greeted by owner Dan Marca. He and his wife Cindy—Dancin stems from their first names—run the 15 acre micro winery and tasting room. I sat down at the bar and shared great stories with Dan about Italy, family, Rogue Valley and his award wining Pinot Noir and Chardonnay. I was so impressed by his wine that I texted my Dad right away so he could order a case of Pas de Trois 2012! For the Italians visiting, get ready for Dan and his Calabrian hospitality. It felt like I knew him for years and was definitely well fed thanks to what Cindy was cooking up in the kitchen. 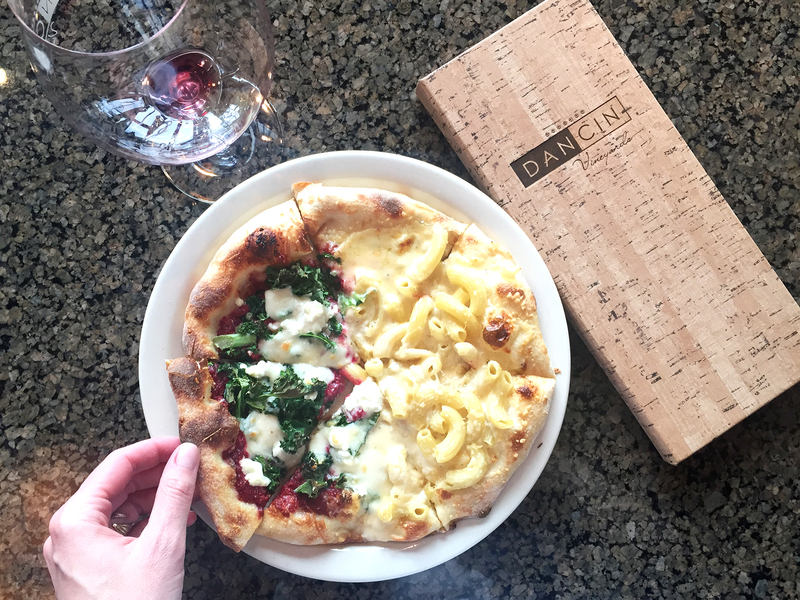 They have a full menu, of which I opted for the stuffed mushrooms and a pizza, half with beet pesto and fried kale and the other half with macaroni and cheese. I had to try pasta on pizza. Lunch ended with a strawberry filled with cheesecake. 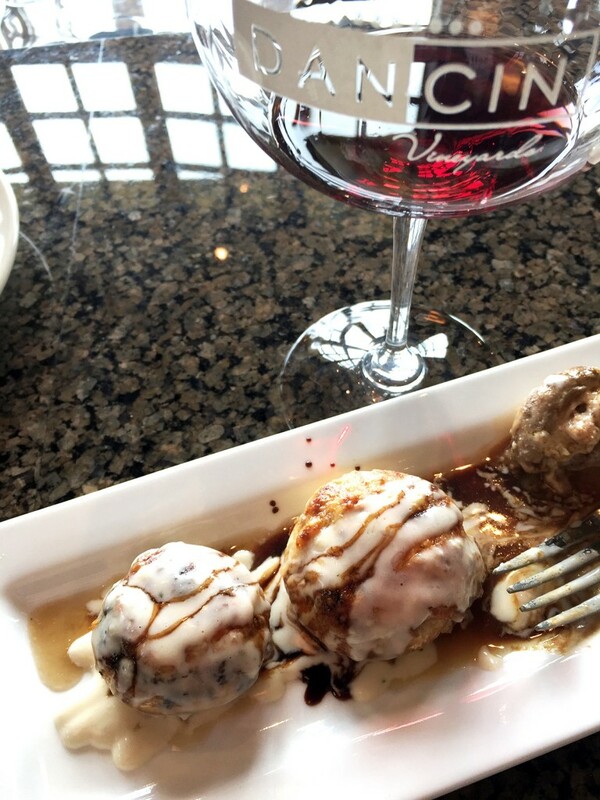 They offer a tasting flight of five wines for $5, can’t beat that nor their wines. After the tasting, Dan gave me a private tour of the grounds. We checked out the barrels where winemaker Brian Denner was hard at work. Brian had me taste their Barbera and a Port they’re excited to release to their VIP Wine Club members. It was fun tasting a Barbera out of Italy and a Port outside of Portugal, both of which I’ve tried in their places of origin. Southern Oregon wineries are making some incredible grape juice! 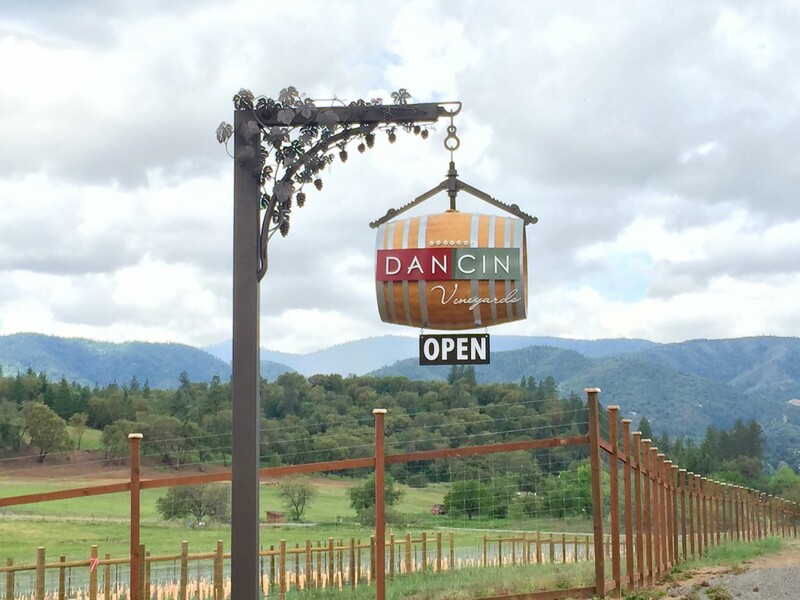 Check out Dancin Vineyards next time you’re in Rogue Valley! 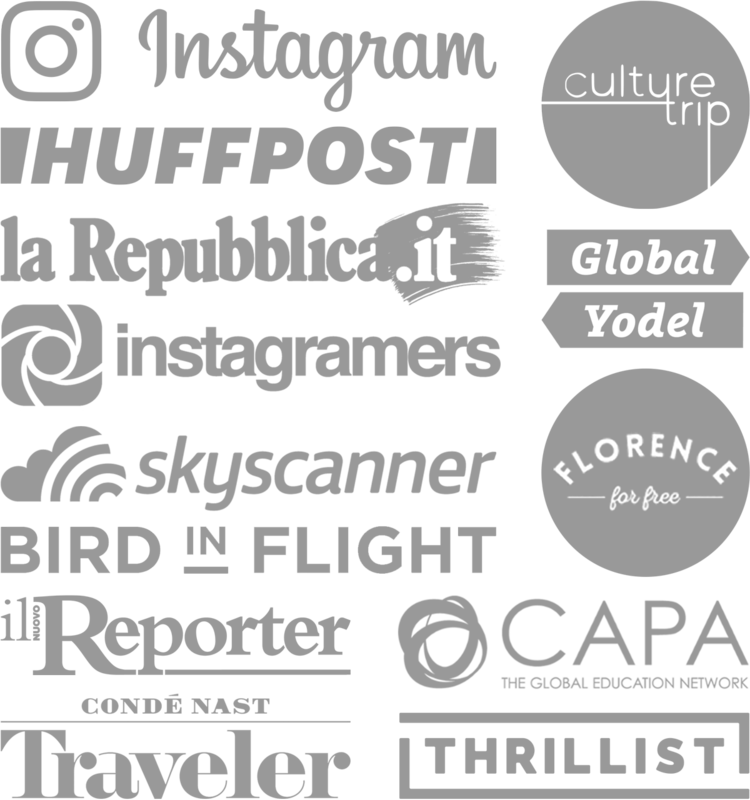 If Oregon isn’t on your travel itinerary this year then check them out online, on Facebook and on Instagram. I have a feeling Pinot Noir may be my wine of choice this year as Tuscany is now becoming a distant fond memory. 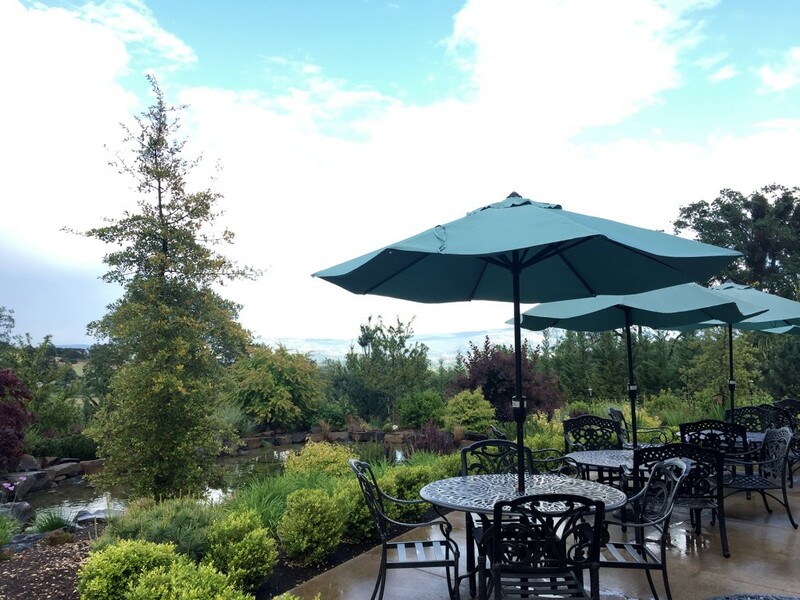 Have you visited any Oregon wineries that you can recommend? This place is amazing, can’t wait to check out more vineyards in the area next time!